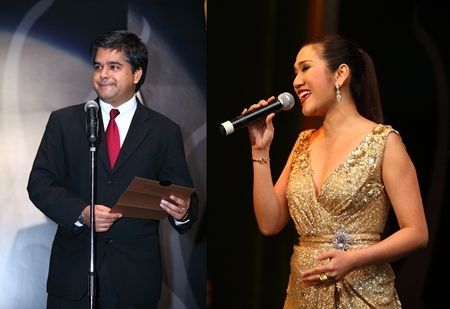 The prestigious 2011 Thailand Property Awards were held at a lavish gala dinner and ceremony staged at the Grand Hyatt Erawan Hotel in Bangkok on Tuesday, Dec. 6. 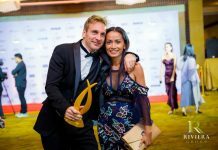 Two big success stories on the night were property agents CB Richard Ellis (Thailand), winners of five awards, and the Soneva Kiri by Six Senses Resorts and Spas on Koh Kood, which garnered three awards for the developers, plus two additional ones for the architects of the project. 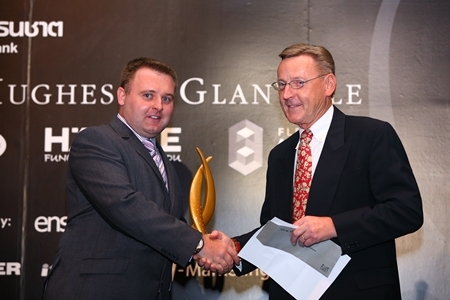 CB Richard Ellis (Thailand) won five awards at the Thanachart Bank Thailand Property Awards 2011 gala dinner ceremony, held at the Grand Hyatt Erawan Hotel in Bangkok last month. 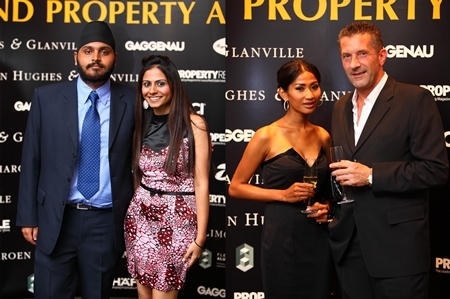 This highly publicized event was attended by over 600 CEOs, managing directors, developers and other senior management figures from the national and regional property sector in what was essentially a who’s who of the nation’s real estate business; many of who were vying for one of the 31 awards on offer during the evening. The guest of honor at the event was Deputy Finance Minister Viroon Techapaiboon, who as well as congratulating all the nominees and winners, also touched on the subject of the recent flooding that had affected much of central Thailand and how vital the property industry was in rebuilding after this catastrophe. lso on board this year for the first time was Thanachart Bank as the title sponsor of the event and who offered special interest rates and various offers to award winners on the night. 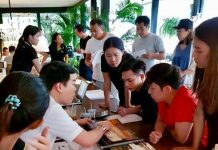 “We are confident that working together with one of Thailand’s leading and most dynamic banks now and in the months ahead, will have a very positive effect both on the awards and on the real estate industry as a whole,” said Terry Blackburn, CEO of Ensign Media, the organisers of the event. 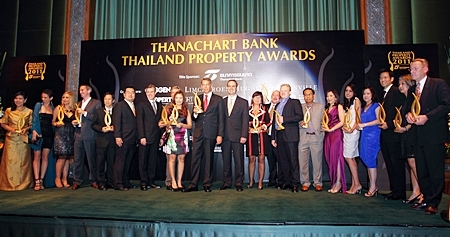 “The Thanachart Bank Thailand Property Awards will become the gold standard of quality for the industry,” he added. 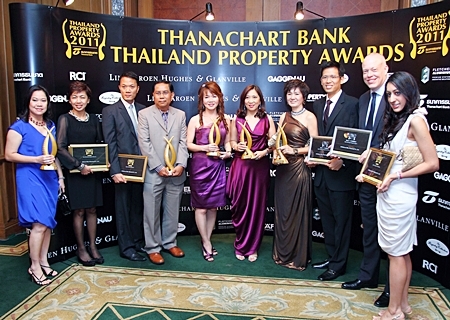 CBRE (Thailand) almost had a clean sweep in the agents sector, taking awards for Best Resort Residential Agent, Best Bangkok Residential Agent, Best Commercial Agent, Best Property Consultancy, and Best Website. 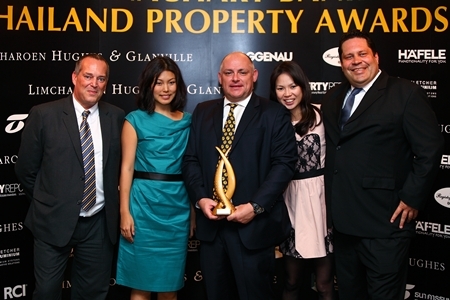 The only awards the company didn’t pick up were Best Property Management Company – Jones Lang LaSalle (Thailand) Ltd; Best Overseas Property Agent -Savills (Thailand) Ltd; and Best Agency Deal – Colliers International Thailand. The luxurious Soneva Kiri by Six Senses Resorts and Spas meanwhile picked up awards for Best Green Development and Best Villa Development in both the Eastern Seaboard and Thailand categories. Architect of the project Habita shared in the success of the development by capturing two awards of their own. 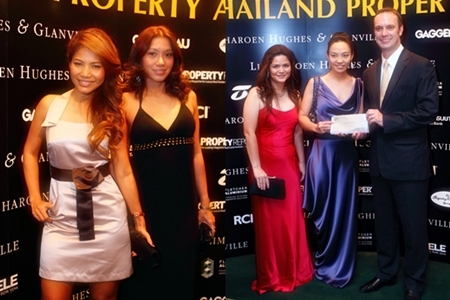 The format of the Property Awards had changed this year to incorporate all the resort locations, Pattaya, Phuket, Koh Samui and Chiang Mai, under one umbrella meaning that all four were essentially competing for many of the same awards. This resulted in Pattaya falling short of its successes from previous years, with the only winner from the city this year being the Tropical Dream condominium development on Pratumnak Hill. 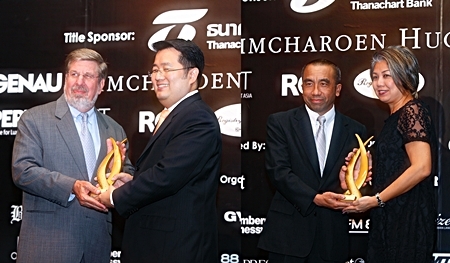 Elsewhere Minor International, which owns the JW Marriott Resort, won the awards for Best Developer and the Best Condo Development Thailand for their The Residences at The St. Regis Bangkok project. Malaiwana followed up from their success at the Southeast Asia Property Awards (SEA Awards) held in Singapore earlier in December by claiming the Best Villa Development in Phuket honor. 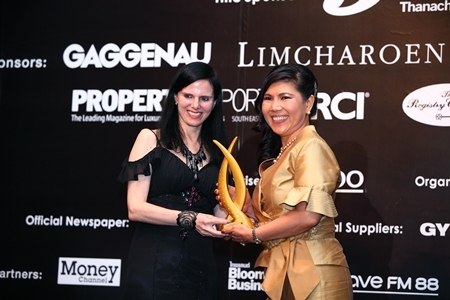 Real Estate Personality of the Year went to Anupong Asavabhokhin, Chief Executive Officer of Asian Property Development PLC, who was unable to attend on the night but addressed those gathered at the gala dinner by video link.